Mayne Stage adds more performances to its fall and winter including Sunday Night Football, Seryn November 23, Eastern Blok December 8 and a number of new supporting acts for previously announced shows. Tickets for newly announced shows are on sale this Friday, October 15 at http://www.maynestage.com/ or (773) 381-4554. Due to a scheduling conflict, Johnny Flynn has been rescheduled for Thursday, November 11 at 7 p.m. Doors open at 6 p.m. and tickets are $15. Previously purchased tickets for Johnny Flynn’s Saturday, October 16 show will be honored for the new show. Please contact the Mayne Stage Box Office with any questions at (773) 381-4554. As a result, Old Canes performance for Saturday, October 16 has been moved to 8 p.m. Opening for Old Canes is Suns and The Thin Man. Doors open at 7 p.m. and tickets are $10 and on sale now at http://www.maynestage.com/ or (773) 381-4554.
area and beyond, via WFMT’s streaming service. Sunday, October 17 brings WFMT’s first collaboration with Northern Illinois University’s School of Music featuring NIU’s Quartet-in-Residence, the Avalon String Quartet. Blaise Maginere (violin), Marie Wang (violin), Anthony Devroye (viola) and Cheng-Hou Lee (cello) are “an ensemble that invites you—ears, mind and spirit—into its music,” says the Chicago Tribune. The Avalon Quartet will perform an opera-themed recital which includes Giacomo Puccini’s Crisantemi (Crysanthemums), 3 Divertimenti by Benjamin Britten and Giuseppe Verdi’s String Quartet. WFMT Live from Mayne Stage presents Rush Hour Encores Sunday, October 24. Encore performances from the Rush Hour Concerts given at St. James Cathedral in Summer 2010. The “Irish Connection” features prominently in this program presented by Irish soprano Maire O’Brien and pianist Mark Riggleman. Hear four settings of poems by William Butler Yeats by composers Ben Moore, Ned Rorem, Thomas Dunhill and Muriel Herbert. The program also includes songs by Victor Herbert, Richard Strauss, Sergei Rachmaninoff and Fernando Obradors. On Sunday, October 31, listen to the first in a series of broadcasts of WFMT Live from Mayne Stage featuring artists from DePaul University’s renowned School of Music. Featuring a Faculty Chamber Music Concert, the program holds two unusual, but fascinating works: a Trio for Clarinet, Viola and Piano by Jean Francaix and Quatre Poèmes for voice, viola and piano by Charles Martin Loeffler. Hear violin music by Fritz Kreisler. Performers include Jane Bunnell (mezzo-soprano), Julie DeRoche (clarinet), Rami Solomonow (viola), pianists Aglika Angelova and Alban “Kit” Bridges, and Janet Sung (violin). The Executive Producer of Live From Mayne Stage is Steve Robinson. The Producer is Carolyn Paulin. The program is sponsored by North Shore Retirement Hotel. Tickets for all shows are $10. For more information and to buy tickets, visit http://www.maynestage.com/ or call (773) 381-4554. Cheer on a favorite NFL team Sundays at Mayne Stage, and catch the game in high definition on Mayne Stage’s 22-foot screen. The party starts at 6 p.m. each week, the buffet begins at 6:30 p.m., followed by the game at 7:20 p.m. Tickets are $15 and include a full football buffet of buffalo and BBQ wings, BBQ baby back ribs, chili, nachos, crudités and lobster macaroni and cheese. Drink specials include $3 Miller Lites, $5 Jack and Coke and $5 Southern Comfort and Coke. Sunday Night Football at Mayne Stage is scheduled for October 31, Steelers vs. Saints; November 14: Patriots vs. Steelers; November 28: Chargers vs. Colts; December 5: Steelers vs. Ravens; December 19: Packers vs. Patriots; and December 26: Chargers vs. Bengals. Catch Sunday Night Football on January 6, January 16, January 30 and February 6 for the Super Bowl. Specific games and times to be announced. 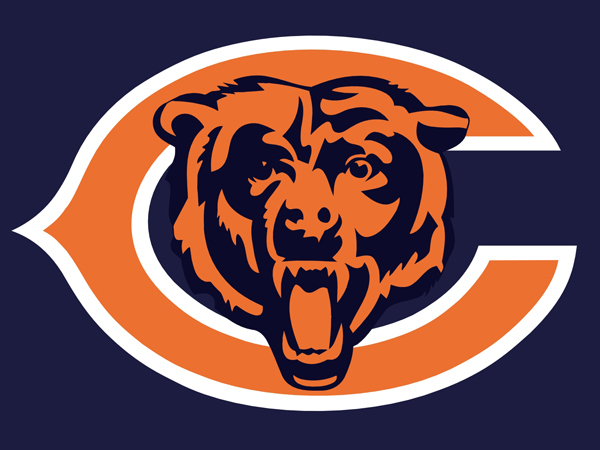 Cheer on the Chicago Bears while watching the Bears vs. Dolphins football game in high definition on Mayne Stage’s 22-foot screen on Thursday, November 18. Tickets are $15 and include the full football buffet. 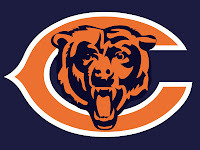 Tickets to watch the Bears take on the Dolphins November 18 are on sale this Friday, October 15 at http://www.maynestage.com/ or (773) 381-4554. Listen to the indie tunes of Seryn, playing Mayne Stage Tuesday, November 23 at 7:30 p.m.
Hailing from one of the most artistically creative music communities around, Seryn calls Denton, Texas home. Seryn, having only played together since March 2009, has created something truly special in their short existence. Combining guitar, ukulele, kalimba, accordion, bass, drums, viola, percussion and more, the five members of Seryn work together to create sonorous harmonies and big choruses. Seryn’s understanding of dynamics shines brightly, and has earned them a sound that is not easily defined, but proven triumphant. Opening for Seryn is The Numbers, a Bolingbrook, Ill. based alternative country band. The show begins at 7:30 p.m. Learn more at http://www.thenumbersband.com/. Seryn plays at Mayne Stage Tuesday, November 23. Doors open at 6:30 p.m. Tickets for the show are $10 and on sale this Friday, October 15 at (773) 381-4554 or http://www.maynestage.com/. Eastern Blok blends classical and jazz music with its exotic folklore tunes at Mayne Stage Wednesday, December 8 at 8 p.m. Originally dubbed Goran Ivanovic Group, founding members Goran Ivanovic and Doug Rosenberg teamed up with Matthew Ulery and Michael Caskey in 2004 and formed Eastern Blok two years later. The eclectic group combines traditional folk music from the Balkans along with Latin, flamenco and klezmer elements, European classical influences and American jazz. The group’s track Blacksmith’s Dance, was selected out of thousands of submissions as one of three finalists in the 2005 John Lennon Songwriting Competition. Eastern Blok has performed at a number of major universities and venues across the country, including a performance on Chicago Public Radio’s “Chicago Undercover,” and headlining of the World Music Festival in Chicago. In 2007, Eastern Blok released Folk Tales at a special performance in the Museum of Contemporary Art in Chicago. Learn more at http://www.easternblok.net/. Enjoy the timeless sound and virtuosic approach to Eastern Blok’s world music at Mayne Stage December 8. Doors open at 7 p.m. Tickets are on sale this Friday, October 15 at (773) 381-4554 or http://www.maynestage.com/. Candy Apple & The Buddies opens for Ume Sunday, October 17 at 8 p.m. Learn more at www.myspace.com/candyappleandthebuddies. Secret Colours starts the show at 8 p.m., followed by Candy Apple & The Buddies before headliner Ume. Tickets are $10 and on sale now at http://www.maynestage.com/ or (773) 381-4554. Indie band Pillars and Tongues opens for The Black Swans on Wednesday, November 3. Learn more at www.myspace.com/pillarsandtongues. The show begins at 8:30 p.m. with Pillars and Tongues before The Black Swans. Tickets are $10 and on sale now at http://www.maynestage.com/ or (773) 381-4554. Opening for BettySoo on Wednesday, December 1 is singer/songwriter Imelda de la Cruz. Learn more at http://www.imeldadelacruz.com/. Imelda opens the show at 7:30 p.m., followed by Sarah Vonderhaar at 8:15 p.m. BettySoo takes the stage at 10 p.m. Tickets are $10 and on sale now at http://www.maynestage.com/ or (773) 381-4554. Mayne Stage is located at 1328 W. Morse Ave. in Rogers Park, on the north side of Chicago. A wide range of performances are held at Mayne Stage including concerts from varied music genres, comedy acts, theatrical shows and more. Mayne Stage is also the perfect place to host a private party or event. Visit http://www.maynestage.com/ or call (773) 381-4554 for more information, to buy tickets, or see a list of upcoming shows. “Like” Mayne Stage on Facebook at www.facebook.com/MayneStage and follow Mayne Stage on Twitter at @MayneStage.